RICHMOND, VA – Beginning on July 1, 2015, the Department of Elections and local general registrars will begin conducting voter registration drive training mandated by Va. Code § 24.2-416.6. This law requires individuals or groups requesting 25 or more voter registration applications from the Department of Elections or local voter registration offices to register and receive training for conducting voter registration drives. The training will cover topics including best practices for completion of the voter registration application, maintaining the integrity of the voter registration process, prohibited activities, important deadlines for submission of completed applications, laws protecting the privacy of applicants and information on restoration of felon voting rights. 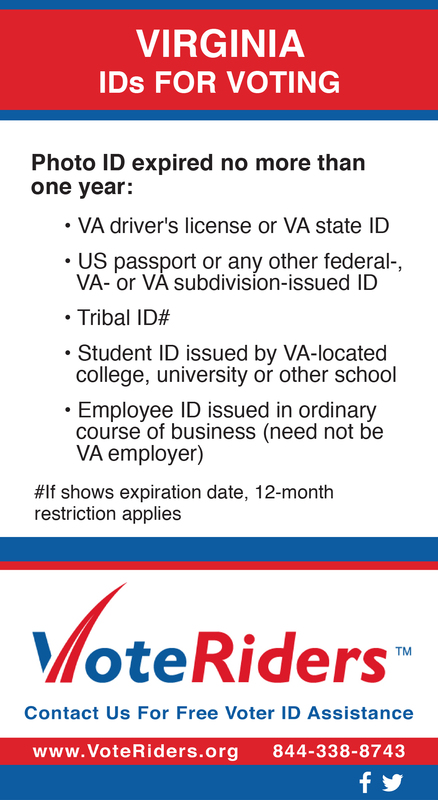 In addition, training will include information on Virginia’s photo identification requirements. While many groups and individuals completed the training last year, the Department requires certifications be renewed annually to ensure these groups and individuals are up-to-date on any changes to laws, regulations, and policies. The Department of Elections will be hosting in-person training at its offices at 1100 Bank St. Richmond, VA 23219. To register for one of the scheduled trainings listed below, please e-mail Garry Ellis at Garry.Ellis@Elections.Virginia.Gov. Individuals and groups can also obtain training materials in local voter registration offices. Online training is available on ELECT’s website. Additional information is available the Department of Elections’ website: www.elections.virginia.gov beginning July 1, 2015. ELECT encourages all groups involved in the voter registration process to participate in these training opportunities, including our interactive online training.